An account allows you to make purchases through this website quickly as your address details are already safely stored. Please note you do not need to have an account to make an online purchase. Our quick and easy 1 page checkout is very simple. If you want to place your order but prefer to talk to us before making payment, simply go to Checkout and at Step 4: Complete your Order - choose 'send order without payment'. We will then contact you to answer any queries and arrange payment. 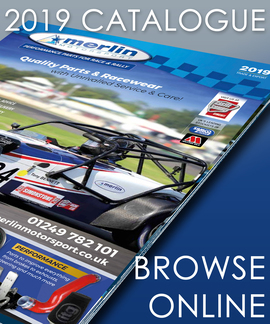 +44 1249 782101 or email us at sales@merlinmotorsport.co.uk.